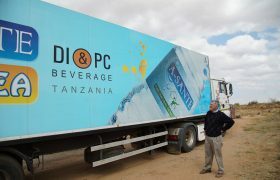 There are many ways to help DTHD continue to bring health and hope to thousands of children and adults in Central Tanzania, and we welcome your support. Make an online donation or mail us your gift today. 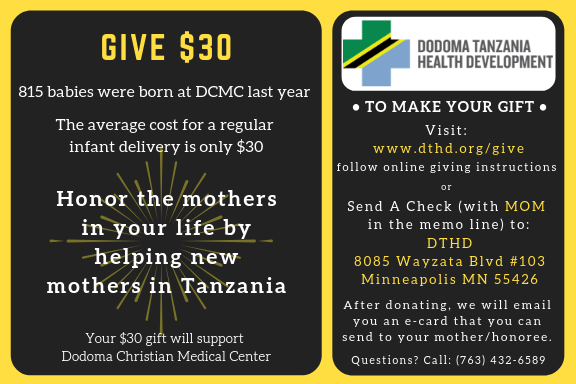 Your donation will support DTHD’s mission to ensure that high-quality, compassionate, Tanzanian-led health care is available to the people of Central Tanzania. 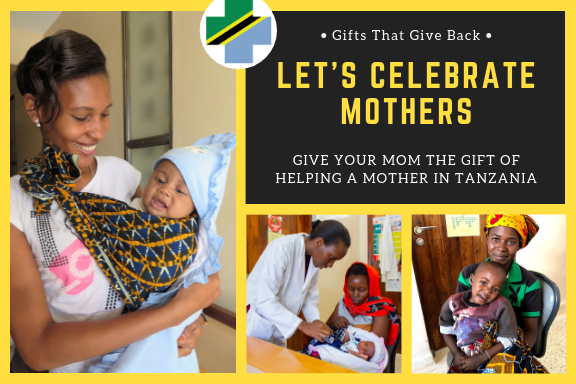 Give a gift in honor of the mothers in your life and help new mothers in Tanzania. Click Here to make your donation through Network for Good. Enter “Mom” in the Designation field on the payment page, and we will send you an ecard after completion of your donation. To donate online, please go to Network for Good, our partner for receiving and processing all online gifts. Network for Good will send both you and us an email confirming your gift. Please consider signing up for AmazonSmile, which donates donates 0.5% of the price of your eligible AmazonSmile purchases to the charitable organization of your choice. Simply select Dodoma Tanzania Health Development, and the funds are automatically deposited to our account. 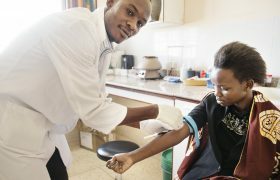 Our mission is to ensure high-quality, compassionate, Tanzanian-led health care for the people of Central Tanzania by developing the capacity and sustainability of Dodoma Christian Medical Center.